Channeling- What Is Channeling Really? Find Out In This Ultimate Guide! What Is Channeling Really? Find Out In This Ultimate Channeling Guide! Channeling is quite simply the process of expanding and focusing your consciousness to bring through Divine guidance. Divine guidance takes many forms and for this reason, channeling does as well. Chapter 7: Who Can Channel? Channeling is a psychic healing art in which the channel receives and conveys love, healing and guidance from the higher realms by the power of Spirit. Channeling Divine guidance may include communicating with archangels, ascended masters, star beings, deceased loved ones, spiritual deities, nature spirits, fairies, and spiritual guides. The only prerequisite for true channeling (communicating with the Divine), is that you connect only with guidance from the higher spiritual realms. Because of this, another definition of channeling could be that channeling is bringing through truth from the higher realms of wisdom. To do this, shifting your awareness in order to achieve an expanded state of consciousness is required. By expanding your consciousness, you can access the Higher Realms of knowledge, wisdom, love, and truth. When channeling the higher Divine realms, the channel will experience a significant increase in vibration as well as an expansion of consciousness. This expansion allows the channel to convey the words and energies of the spiritual guide who is speaking in a way that others can hear, feel, and experience. In this way, channeling provides access to incredibly high vibrational frequencies of love along with accurate Divine guidance and specific answers or even psychic predictions in some cases. Clairvoyant channeling is when you see into the higher realms using your third eye and psychic sight. Clairvoyant channels see images, angels, symbols, and use this visual stimulus to decipher meaning and to flow forth a message or reading from spirit. Clairvoyant channeling is like receiving a message through symbols, words, and frequency, and then interpreting it, translating it and relaying it. As a clairvoyant channel you choose which words to use, and can sway the meaning in one direction or another depending on your interpretation. Many channels start of this way, and then as their vibration raises, they grow into a consicous channel. Conscious channeling is the way I channel. Conscious channeling involves raising your vibration by opening your heart to connect with the higher vibrational guides, angels, ascended masters and realms of spirit directly. During conscious channeling, the messenger (channel) is in a relaxed, and expanded state of consciousness that occurs when they allow higher vibrational beings to align with them for the purpose of communication, healing, and the sharing of information. While conscious channeling you are still in your body and you are still in charge of your life stream, you’re simply vibrationally elevated so that you become a frequency match for the higher vibrational beings you want to connect with. A conscious channeled message and incredible frequency then flows though, like a stream of consciousness alongside your own. You receive the message word for word and pass it on directly. The guide, ascended master or archangel chooses their words and concepts based on your vocabulary, but the message is direct from the source. While the link is made with a guide or archangel (through the open heart, throat, third eye, and crown) you’re able to listen, experience, feel the elevated vibration and even pause, ask for clarification, or stop the message and connection. Conscious channeling gives you the opportunity to directly connect with very powerful, wise and loving spirit guides who can motivate and heal you in miraculous ways. Spirit guides can read the energy around you and the areas you inquire about, and lovingly provide you with guidance based on what they see. Channeling helps to create positive transformation in those who hear the messages. Trance Channeling is when the channel allows a guide, angel or being to take over their lifestream. The channel leaves their body (entering an alternate dimension) so that the guide can actually step into their body, and speak through directly. Trance channeling is something that should not be attempted without extensive training and supervision and it is of the utmost importance to use discernment and only allow the guides of the highest light and integrity to connect with you in this way. Especially in the ascension times in which we live, there is a great benefit in your staying present, and conscious as you receive messages and higher vibrations from spirit. Whatever type of channeling, who speaks through the channel, is up to the discretion of the channel and what they allow. This brings me to the interesting point of the difference between a medium and a channel. What is the difference? It is the medium and the channel. 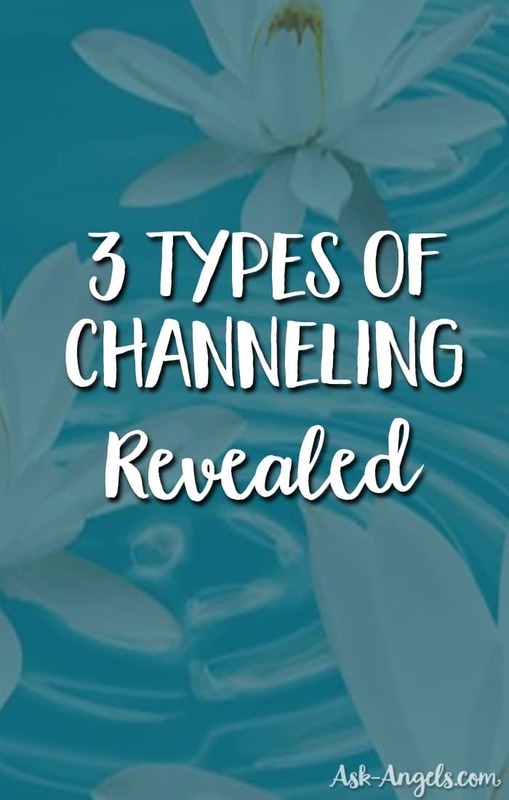 Channels or channelers typically focus their efforts on bringing through the guidance of higher vibrational beings, while mediums typically deliver the guidance of deceased loved ones and ancestors who once lived in the physical realm, and are now present within the realms of spirit. In the case of both mediums, and channels, a link is made with the realms of spirit, and the channeling or transmitting love and guidance from the realms of spirit can begin. A channel and a medium are both psychic, and true channels and mediums do not interpret the information or energy that is received from Spirit. It is simply given to the seeker just as it is received from the guide. In terms of channeling, since this is our focus here, the channel and the being of higher consciousness telepathically communicate. There is no possession or attachment taking place here, rather the higher consciousness of the angel, ascended master, or guide, speaks in pure light, love, light and energy. The one who is the channel receives this message and essentially translates it into words, concepts, and language which can be understood by others. In addition, the message is backed by frequency from the being of light, love, and higher consciousness, which can then be felt, experienced and understood by those who experience, read, or listen to the channeled material. The channeled teachings from beings of higher consciousness, like angels and ascended masters, are transmitted through pure energy, through feeling, love, and frequency. This energy is then translated by the channel into words, which can then be felt, heard, read, and understood. Getting a bit more specific here, when I channel I receive an incredible frequency and energy of love and light from the angels, guides, and ascended masters whom I allow to speak through me. In addition to the energy, I receive one word at a time. When I speak the word I am given, another word follows, and one word at a time, the beautiful messages, teachings, and wisdom you find shared here on this site appears. There are really a ton of other people channeling messages, who you can find by searching the web, searching Google if you will. But please, take note, and use your sense of discernment when listening and reading channeled messages from me, and from anyone else. There are “fakes” and even those channeling lower vibrational beings… And reading to either of these types of channeling are NOT beneficial. When reading, tuning into, or listening to a channeled message, do you find truth in the words? Does the message feel good to you? Do you feel lighter, and more empowered by listening? If so… Take it and implement it in your life and experience. Is it uplifting? Is it empowering? Does it feel good? If not… Leave it behind. Discretion really is key here. When there are fear-based messages, this is a clear indication of a false channel, or indicates someone one who is turning into ego, or lower vibrational entities rather than high vibrational Divine beings of the highest service, light and integrity. Use your subtle senses of seeing, hearing, sensing, and knowing to understand if a channeled message is true, is real, and is for you at this time. If not, do not worry, or judge it or be afraid… Just move on. Leave it behind, and step into what is real, true, valid, and uplifting for you here and now. Raising your vibration before channeling is an important step, but it's also easy to do. Before you channel, simply surround yourself with Divine love, light, and angels of love and protection by calling them in. The process of channeling opens you to the non-physical realm. By raising your vibration, you're lifting above and out of the range of entities or ‘cosmic tricksters' who might otherwise want to mess with you. If you’re reading this post because you are currently learning to channel … Don’t be afraid, but please do use caution. Your vibration acts like a beacon… Are you in fear and doubt? These are the types of beings you will attract, and the energy they will broadcast… And yes, they can be tricky. This is why it's essential to raise your vibration first! Before you channel, come up with a practice to elevate your vibration and to link directly with the Divine and with the realms of love and light. You will also learn how to do this in the Learning to Channel Home Study Course! Your Divine connection and being surrounded by light and love will by nature repel any beings of lower vibration (they really go to lengths to avoid love and light so this is an excellent cloak of protection). If a being strokes your ego… or causes you any reason to fear BEWARE. Release them into the light, surround yourself with Divine love and light and move on. Beings of the lower realms can offer psychic predictions with accuracy. But honestly, you’re better off without them. I really, strongly recommend you only work with beings of Divine love, light, and wisdom from the higher realms. This is my intention and practice… And is based on my intuitive knowing and first hand experience of helping other people rehab from their time spent working with lower vibrational beings. When it comes to connecting with beings outside of the realms of love and light, there is really no reason to do so, and if you do choose to do so just know, they can be incredibly tricky… and enjoy setting you up, and watching your life crumble. It’s just not worth it. In choosing to work with ascended beings of love and light, with angels, guides of the light, and interdimensional beings who are highly evolved, and aligned with Divine Love and Truth… we’re not missing out… At all! The Universe is full of amazing beings of love and light, like the angels, ascended masters, spirit guides of the light, and star-beings like the Pleadians or Arcturians who are more than happy to uplift, help and assist… Beings of light and love from the higher realms can provide incredible insight, wisdom, and even magic if you like, all according to Divine Will, for your well-being, and for the Highest and Greatest good of all. Channeled messages from beings of love and light, who are in alignment with the Divine and with Divine Will, can offer a great deal of love and insight to us in the physical realm. When you channel beings from the higher realms… You're channeling love. This is especially true now in this window of ascension we are in now, where there is much density coming up for release, and every day new levels of light open their doors for us to experience. The key again, is to raise your vibration before channeling, and to have the clear intention to only connect with beings of love and light from the higher realms of spirit. 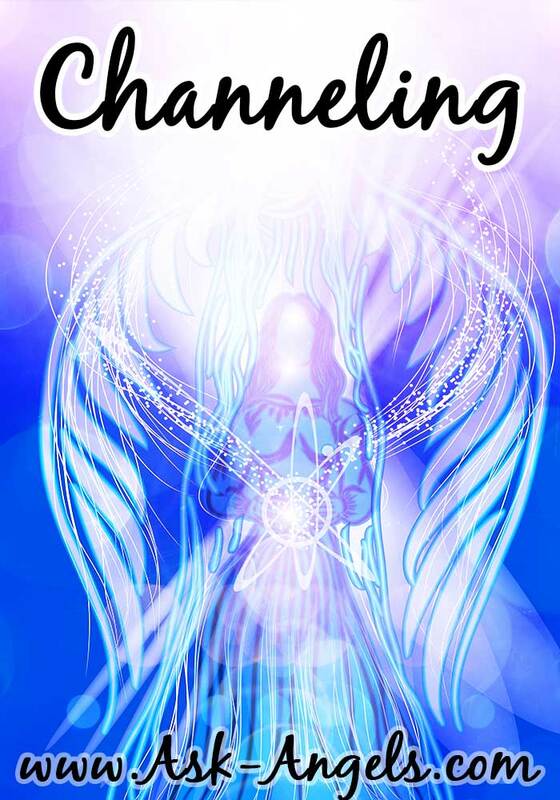 Channeling angels is easy, empowering, and uplifting. After all one of the main purposes of your angels is to help you open to your psychic and spiritual gifts so you can tune into the guidance of the Divine. Channeling is a wonderful way to do this, and your angels can help you learn how! Everyone can learn to channel! The people who tend to excel at channeling are freethinking, independent, and willing individuals. They’re usually open minded, curious, and committed to personal and spiritual growth and learning. People who are channels are not “special” or “unique” in their ability to transmit love and messages from Spirit. Just like learning to play the piano, learning to be a Reiki healer, or learning the steps to a dance, channeling is a skill that can be learned. However, just as there are people who have a natural propensity to become artists, singers, or athletes, so too are there people who are naturally more open to becoming channels. This is due to every person on the planet having a unique blueprint, unique skills, and personality traits. But with practice, and especially with The Orion Technique… Channeling is something anyone and everyone can learn. In fact, many people begin channeling without knowing it! The qualities most important for learning to channel include willingness, persistence, and enthusiasm. When it comes to channeling, discretion is key. And by discretion, I mean leveraging your freedom to decide what should be done with the information you receive. You are the key. Does the channeled information you or another bring through resonate with you? If so, take it and implement it. Do you disagree or feel weird about channeled information? Great… Pay attention, take note, leave it behind, and move on. If you’re new working in the realms of spirit, use caution with the channeled information you ingest. Find a channel you resonate with, who is uplifting, and helpful, and be aware. I would recommend you energetically interview anyone new who you allow into your ‘development circle’. By energetically interview, I mean how do they and their information make you feel? Tune into their energy, and pay attention to how you feel. This is a huge clue as to the vibration of the energy their work actually contains. There are many qualified, and helpful channels of love and light who can benefit you on your path. But beware, there are also those who are misaligned, and who would only lead you into more confusion, doubt, and density… There are those who would lead you astray. You are the key and the creator of your reality. Remember this, when getting readings, when listening to channelings, and really with any information you learn in books, on TV, online, and otherwise. Remember, there is no one truth, listen to your heart, and follow your inner guidance and knowing to find the truth which resonates, which uplifts, inspires, and which is yours. If you resonate with the information I am channeling from the realms of angels, and ascended masters, be sure to leave me a comment and let me know. If not… Find your truth, within, and without. Quite your mind, open your heart and tune in. Bliss, love, light, and Divine frequencies await as you choose them, as you intend them to be, and as you consciously tune in. 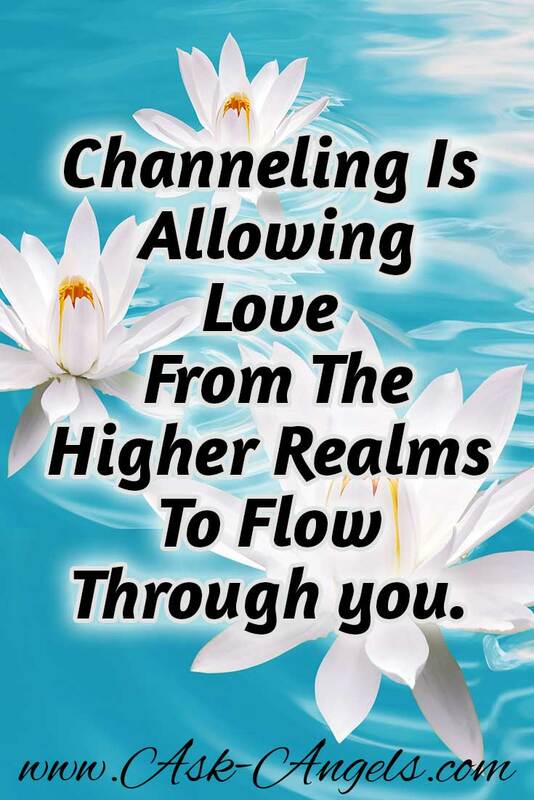 Channeling is allowing Divine love to flow through you, and it is an incredible process and a truly beautiful gift. If you're inspired to learn to channel, I suggest you follow that inspiration. Want to learn to channel? Click here! Learning to channel is a life-changing experience, because channeling has the incredible ability to heal and improve your life. The main reason for this is that channeling is directly connecting with the Divine. When you learn to quiet your mind, open your heart, and tune into Divine love through channeling… You’re shifting your perspective away from the spiral of thought, doubt and ego, into the clarity of Divine connection, higher presence and love. This shift into the presence of Love has so many benefits. The confusion of life melts away and the beautiful clarity of being guided by Spirit flows through. 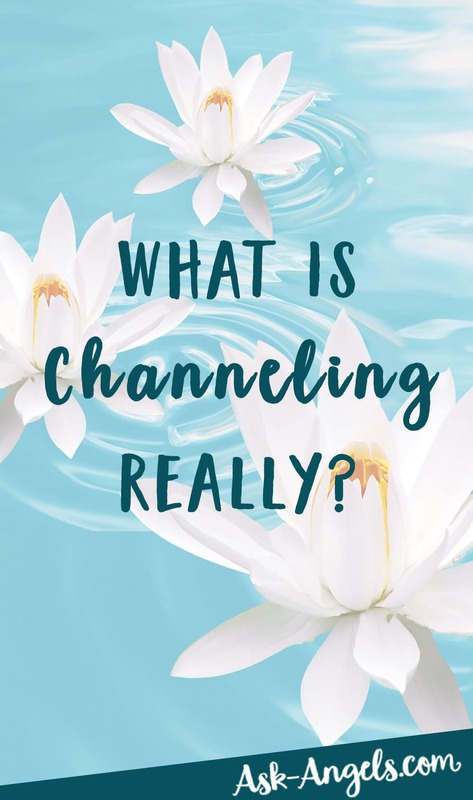 Channeling allows you to live with more freedom, love and joy, because it helps you to more fully align with your truth and who you really are. Who are you really? You are a powerful spiritual being in physical form, and through channeling, here and now in the physical realm you can learn to bring your full spiritual light and Divine connection into all areas of your life. When you shine with Divine light and love, others naturally enjoy your presence, your fears and insecurities melt away too because they’re no match to the high vibration of love and light that is Divine. Through channeling, you learn to live in a state of love, grace, and beauty that is truly incredible. And of course, you can learn to give psychic predictions, channeled readings or healings, and even channel books or messages too! And the best way to Learn Channeling? It's the same way I did, and that is with the help of a loving, high vibrational, experienced channeling teacher. Thank you for following your heart, living your truth, and honoring the light in you, which is in me and which flows throughout all. Divine light, which is present here and now, and can be felt, experienced, and understood when we consciously, deliberately, and intentionally choose to tune in. Please let me first thank you for the love, light and happiness you, your angel messages and divine words of wisdom bring into our lives. If it weren’t for wonderful people like you, I wouldn’t know where to even start and even if I did I wouldn’t have the courage and comfort to explore it on my own. Most likely do to the limiting beliefs I’ve been taught growing up. They always seemed to come from a place of fear and uncertainty rather than love and light. Now I can say I actually know and more importantly feel divine love, peace and light radiating every part of me when I pray or mediate, truly opening my heart and soul to this indescribable feeling of overwhelming love. Just like you said, it makes us become better people in every possible way. Because all I want to do now is continue that feeling of love and light and pass it on to anyone willing to receive it and even ones who don’t. Those little negative issues that I let keep me down and keep my heart closed are so unimportant and being able to forgive others is effortless. When you can feel love and light that runs so deep to your very core that it starts overflowing inside you and instantly turns your eyes into waterfalls of happiness, that’s when you know it’s divine love. So thank you for your gifts but mostly thank you for being a “gift” to us yourself. happens .. do not understand why I see things sometimes before they happen… Especially when I cannot change the outcome. Hello Melanie, thank you for sharing such important information. I can see that you truly practice what your preach. I have a question. I don’t know how to ask, so I’m just going to say it. I’m beginning to learn that I sometimes fall into some sort of a trance and talk to a specific spirit. It happens when I least expect it. I don’t try to do this it just happens. And once it’s over I feel like I’ve been in a daydream and don’t remember much. I just remember enough to know that something doesn’t make sense. Like I find myself talking to someone, but nobody’s physically there. Does channeling affect memory in some way? Am I falling into a trance? I’m trying to understand what is happening to me. When you channel are you aware of what you’re doing and do you remember once it’s over? Thank you so much for commenting Angela! I’m so happy to hear that this was helpful for you! My experience is that it’s possible to channel Beings of Love & Light AND souls of crossed over loved ones. So in your terms, be a channel and medium at the same time. I also have a colleague who channels both. But thank you for explaining the difference to people, cause it’s a clear explanation. Please continue with your work, because I like reading all your information. Thanks for sharing your experience Astrid… I agree with you that people can channel crossed over loved ones, I guess I just like to think of channeling crossed over loved ones as mediumship and channeling Beings of Love & Light channeling. i know not everyone likes to make this distinction though, so ultimately I think just go with what works for you! I really find the messages you share very loving I am learning a lot with your guidance. I feel so good that I am taking your course on Ángel Energy Healing and I feel that my vibration is elevating and on the other band I feel more grounded. So glad to hear! … But not surprised! Many blessings to you! Thank you so much for the insightful information on channeling! I feel very divinely guided to and through your website. I have used the advise you’ve given to reach a new level and ease of communication with Archangel Michael which I believe will help me on my life’s mission. Thank you Sheri, it has been my experience that connecting with the Archangels significantly helps out on the path of accomplishing your highest soul purpose and mission. Blessings of love and light flowing your way! I resonate with most of what you say! I love your daily posts, your free angel card readings and channels. You are one of my favorites! I scour the internet looking for “love and light” readings and you are one of the few I frequent. Love this post too! Thank you! 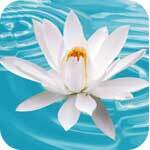 I am a “newcomer” to the spiritual world, and so very ready for all there is to come into my life. I often get frustrated that the process is too slow, but I do realize that it all comes when the time is ready and cannot be forced. Thank you for sharing your wonderful posts with us, it is very uplifting and gives me a light happy feeling deep within me, so yes, what you share most certainly resonates with me. Great post! It embodies the same definitions I had about this phenomenon. Communicating with your higher self is one of the best ways to go with your intuition and clear karma. There are also several interesting channeled messages on my website. I hope everyone can enjoy them as well. Namely, in the series entitled the Relativity Code based on the concepts behind general relativity, namely the post Communication with the higher self and quantum pseudo-telepathy. Ik maar een reactie hierop schrijf.